Our St. Patrick’s Day weekend was BUSY! We had 8 shows over 3 days at a bunch of different locations. It was wonderful. On Saturday, we all headed down to Madeira Beach to perform at an art festival. The weather was nice and crowds were friendly. Then we headed up to O’Keefe’s in Clearwater. They do a huge celebration under a giant tent. We loved dancing for them. 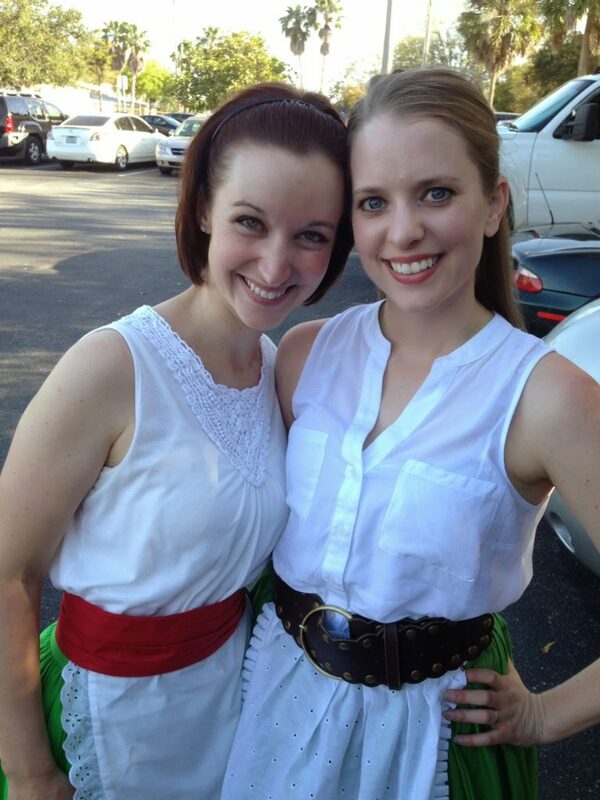 Some of the Tampa Bay Highland Dancers Performance Company joined in the fun. The younger dancers really enjoyed watching dances they haven’t learned yet. 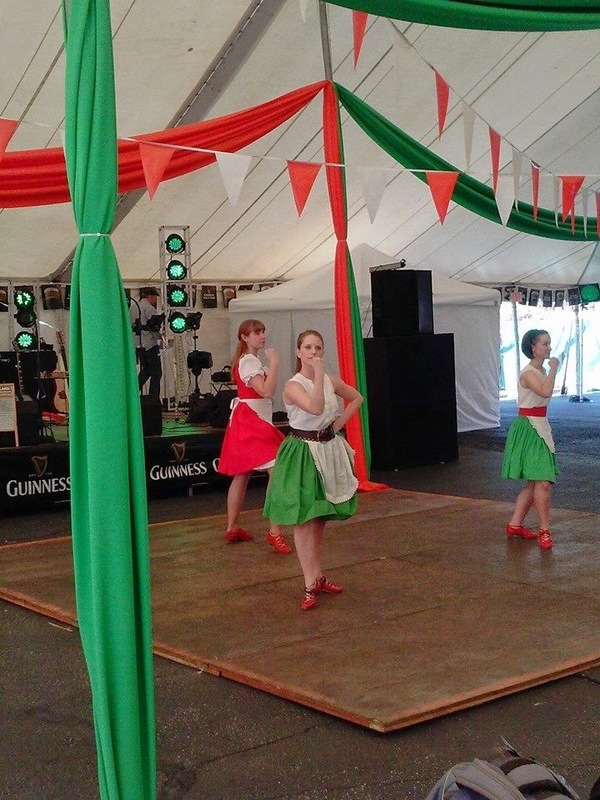 A few of our dancers made their performance debut. Everyone and their families enjoyed the festivities. Miss Elizabeth was able to convince her old dancing friend, Jessica, to come out and join the fun. The two old girls had fun dancing the Scottish version of the Irish Jig like old times. Although the weather was reminiscent of Scotland on St. Patrick’s Day itself, it didn’t stop the TBHD or the crowds from celebrating. O’Keefe’s still put on a great party and we were happy to entertain while dodging puddles. We’re already looking forward to next year!